GJG Express is one of the popular bus operators headquartered in Penang, Malaysia. 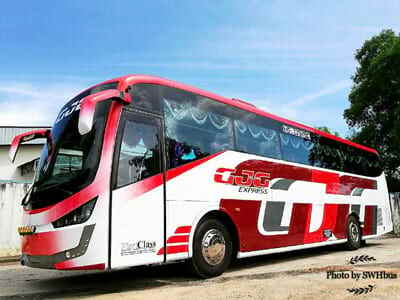 GJG Express is an express bus service provider specializing in bus from Kuala Lumpur to Butterworth, Kuala Lumpur to Penang, Genting Highlands to Butterworth and Genting Highlands to Penang. All the buses deployed by GJG Express are equipped with air-conditioner, spacious seat and legroom to ensure passengers’ comfort during the journey. 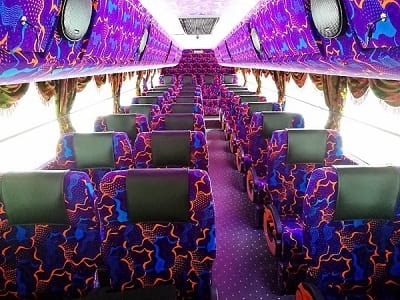 Moreover, they always provide excellent quality of service and well-trained driver to ensure passengers can have a comfortable and secure bus journey. Passengers are advised to purchase ticket in advance online at BusOnlineTicket.com to avoid disappointment during peak season.